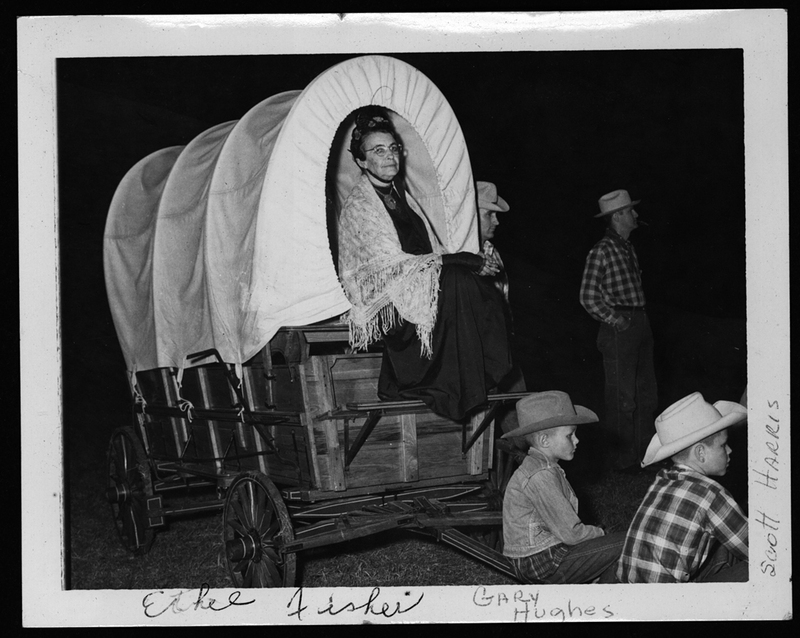 Ethel Fisher sits in a covered wagon at the Valley Center Diamond Jubilee Pageant. Gary Hughes and Scott Harris are also pictured. 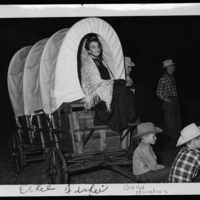 “A covered wagon at the Diamond Jubilee Historical Pageant,” Digital Valley Center, accessed April 21, 2019, https://valleycenter.digitalsckls.info/item/69.